Some payroll systems require the hours an employee works to be input into the computer system in hundredths of an hour. If the time clock records the hours worked in hours and minutes, the time requires converting to hundredths in order to input the payroll information accurately. When you are calculating payroll by calculator, it is much easier to use hundredths of an hour with a decimal point to add hours together. A calculator uses units of 100 and an hourly time clocks uses units of 60 minutes. Converting the hours to hundredths obtains the hours worked in units of 100. Read the time on a time card in hours and minutes. 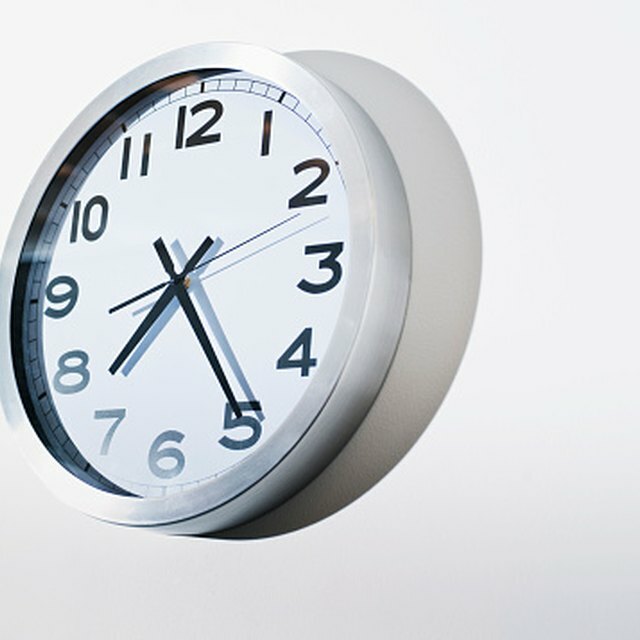 For example, an employee worked 7 hours and 58 minutes on an hourly time clock that records hours and minutes. 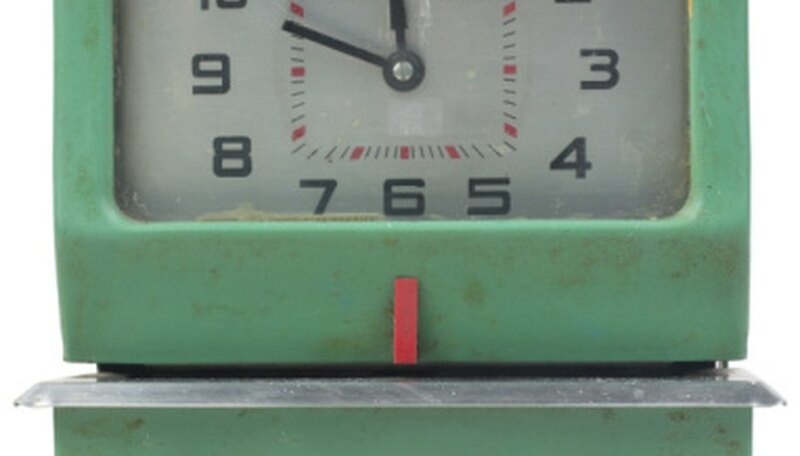 Divide the minutes by 60 because there are 60 seconds in a minute. In this example, 58 divided by 60 equals .967. Round the number in the hundredths place up or down. The hundredths place is the second number located behind the decimal point. If the third number behind the decimal is 5 or more, round the hundredths number up. If the third number behind the decimal place is 4 or less, leave the the hundredths number unchanged. In this example, since the 7 is in the thousandths place, the number rounds up to .97. Therefore, the time worked expressed in hundredths of an hour is 7.97 hours. Convert the hours worked each day first before adding weekly payroll hours together. Multiply an hourly wage times the number of hours worked in hundredths to obtain gross wages. You can use a conversion chart for quickly converting seconds to hundredths. Lougee, Mary. "How to Measure Time in Hundredths of an Hour." Sciencing, https://sciencing.com/measure-time-hundredths-hour-8220679.html. 24 April 2017.